Bell-Fruit Games is enjoying something of a winning streak, with Chase The Rainbow becoming the third hi-tech analogue AWP to gain retailer approvals since August. 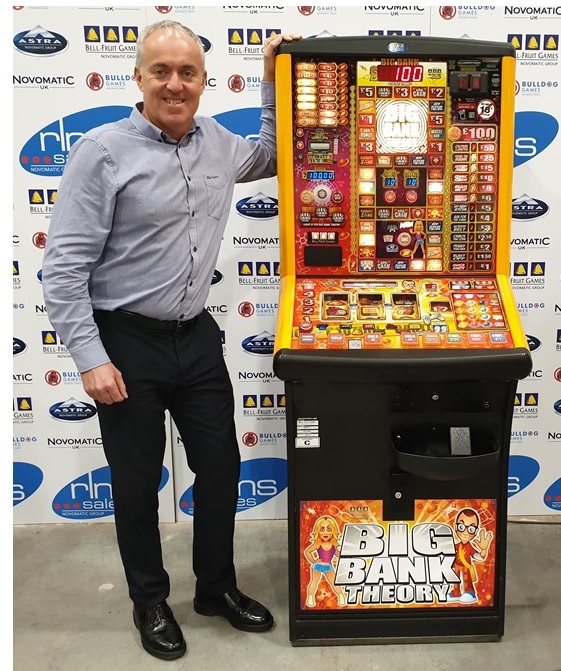 The model, which has been approved by both CLMS and Enterprise Inns ahead of its official launch, follows the success of Big Bank Theory, which was launched on 1st October and Robin Hood Prince of Thieves, which was introduced to the market at the beginning of August. Tony Glanville, Managing Director of exclusive distributor, RLMS Sales, believes the run underlines the importance of the analogue hi-tech sector as well as Bell-Fruit’s success in understanding the needs of this section of the player base. “Securing approvals so early, particularly in the case of Chase The Rainbow which hasn’t even been officially launched, shows how much the market believes in the latest run of games from Bell Fruit” he stated. As well as offering games with proven income earning capability, their availability as Door Kits has enabled RLMS to maintain a highly competitive price point. Tony Glanville explained: “Door Kits enable operators to utilise their off-sited stock which, when combined with a really strong cash box, represent key reasons to purchase. What we are seeing is proof that there’s a player base for quality analogue product and that Bell-Fruit is continuing to invest in that market with great success."